There are few things that are more overlooked in a home yet more cumbersome to deal with when not working properly than the garage door. When someone is unable to open or close the door properly, it completely throws off routine and can leave vehicles exposed to elements as well as contents of a garage unprotected. In addition, many people are unaware of how to proceed when they encounter this problem and wind up overpaying badly for a repair. The team of professionals at Custom Garage Door Systems has been serving customers faithfully as a San Diego garage door repair service for many years. As such, we have learned what it takes to understand the problems that are communicated to us by those who need our help and what it takes to provide service that will help our customers regain the use of their garage doors as quickly as possible. Below is a brief introduction to how we approach these situations. There are any number of ways in which a malfunctioning garage door can be repaired. Too many people assume that every garage door repair is extremely costly, but the fact of the matter is that some repair work involves only a small part and a small amount of labor. That’s why our garage door repair professionals will take the time to carefully review what the problem with your door could be before recommending steps to repair it. After we have carefully reviewed the door that’s having problems, we will work with the customer to make sure that he or she understands all of the potential options for repair. 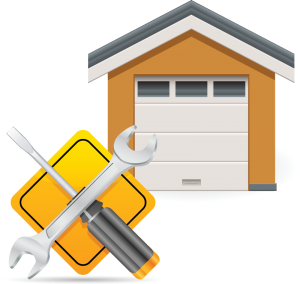 Our team of garage door repair professionals will provide customers with options that will allow them to make sound and knowledgeable decisions with regards to how we should proceed for them. When a customer feels involved with this repair process, it tends to make the entire experience more positive. Clearly, one of the central variables that our garage door repair professionals handle is cost. When we lay out what needs to be done to restore your garage door to working order, we will be as accurate and detailed as possible when it comes to the budget required to get the job done right. Barring any completely unforeseen surprise, we pride ourselves on coming in not only on time, but at the budget agreed upon before we started. If you are having problems with your garage door and you’d like to bring about an end to them, seek the help of garage door repair professionals who have been earning loyalty all over San Diego County for many years. Contact Custom Garage Door Systems today to learn more about what we can do for you.